MKV is a video container that can hold multiple subtitle and audio tracks. Sometimes, when you want to play a video on a device with subtitle, you have to make the video MKV format. For example, in the test, Open Hour Chameleon only can play MKV files with forced subtitle. But even with these benefits, many people still don’t like MKV cause few devices/media players can play MKV files without any hassle. Android phones, having the most users, also has MKV playback issue. So many people can’t play MKV on Android smartphones with audio fine cause MKV may contains DTS audio, AC3 audio. But Samsung no longer pays for the AC3 license, so they cannot be decoded by the stock player. And DTS audio playback is also problematic because of licensing issues. To play MKV files on Android phone without any hassle, you can try installing some other media player like VLC, MX Player etc. As far as the default android media player is concerned I am pretty much it is unable to play the mkv format. 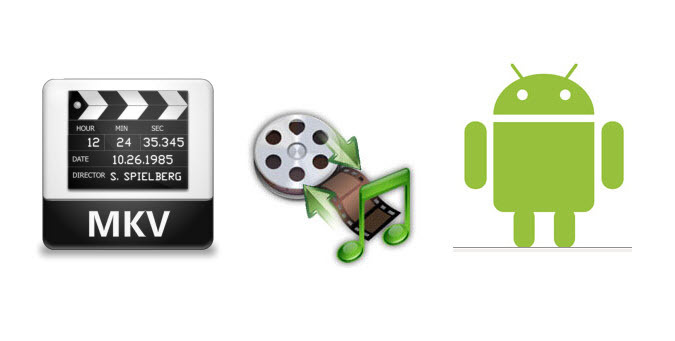 Apart from installing third-party media player on Android smartphone to play MKV files, you also can convert MKV files to Android more supported format like 3GP, MPEG-4 with MKV to Android device video converter. Below are some popular MKV to Android phone converter recommended. Pavtube Video Converter Ultimate – It is an all-in-one media solution that has the ability of removing copy protection of Blu-ray, DVD movies and shift format. It can switch video format to another one such as H.265, MP4, MKV, AVI, MOV, M3U8, M4V, WMV, 3GP. It also can add external subtitle,text and image watermark to Blu-ray, DVD and videos. If needed, you also can trim, merge, crop, split video as your need. To put it simple, transcoding AVI to Android, even ripping Blu-ray/DVD to Android is just a piece of cake for it. Pavtube Video Converter – What is the easiest and best way to convert multiple audio and video sources to the desired audio/video format? Definitely Pavtube Video Converter! This program allows you to convert MKV, H.265, MP4, WMV,FLV, VRO, AVI, etc to Android, iPhone, PS3, PS4, Xbox One and other video types such as SD videos, HD footages. AnyMP4 Video Converter – AnyMP4 Video Converter is powerful and reliable video converter software which can convert 4K Ultra HD/1080p/HD/General Video to your needed ones like MKV, MP4, MOV, AVI, WMV, FLV, MKV, 3GP, etc. As the best video conversion software, AnyMP4 Video Converter can also convert video to 4K/HD/3D video, as well as convert video files to audio formats like MP3, AAC, AC3, OGG and more with blazing-fast conversion speed and extremely high quality. Xilisoft Video Converter Ultimate – Equipped with advanced HD video conversion technology, Xilisoft Video Converter Ultimate can easily convert HD video formats such as H.264 and MPEG-4 video. It can convert more than 160 video and audio formats and convert HD videos, up to 1080p and 4K video. Here, we strongly recommend Pavtube Video Converter Ultimate <review> since it just like other 4 MKV to Android video converter that not only can perfectly convert MKV to Android supported MP4/3GP video and optimized Android preset but also support to batch MKV to Android conversion and shut down computer after conversion. You can add your multiple MKV files into the app, choose the format, reset the A/V codec/size/bitrate for Android tablet/phone, choose “shut down computer after conversion” and start the MKV to Android transcoding. Then you can go to sleep or do other things, no waiting in front of the computer. When you wake up tomorrow morning, you can get MP4 or 3GP videos for your Android phone/tablet.